The Junior Eurovision Song Contest 2018 will take place in the Belarusian capital city, Minsk on the 25th of November 2018 at the Minsk-Arena. It will be the second time that the contest will be held in Belarus, after it previously staged the 2010 edition. Twenty countries have confirmed their participation, with Wales and Kazakhstan taking part for the first time. France will return for the first time since 2004, alongside Azerbaijan for the first time since 2013 and Israel for the first time since 2016. Cyprus and Ukraine will withdraw from the contest. There is a record-breaking 20 countries taking part, the most in the history of the Junior Eurovision Song Contest. Including Kazakhstan and Wales, making their debut in the contest. Originally there were 19 countries in the contest, but Ukraine later confirmed their participation on the 2nd of August. 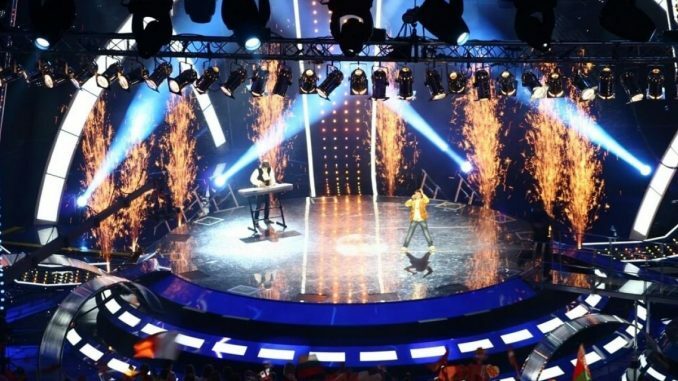 This will be the second time Belarus hosts the Junior Eurovision Song contest, after hosting the 2010 contest. The contest is again scheduled to be held at Minsk-Arena, on the 25th of November 2018. The arena previously hosted the 2010 contest. The Minsk Arena is the largest complex for cultural and sport events in Belarus, with a capacity of 15,000 spectators. Besides hosting the Junior Eurovision Song Contest in 2010, the venue was also the place to be for concerts of other international superstars such as Shakira, Jennifer Lopez and Depeche Mode. Each country’s public & jury award 12, 10, 8–1 points to their top 10 songs. International viewers vote for 3-5 songs, and votes are converted to points by proportional representation. Broadcaster BTRC also revealed the creative theme that will accompany the 2018 Contest. #LightUp is the slogan for this year’s event, complimented by a creative logo design based around a morning star made of vertically inverted soundwaves. The artwork for the event celebrates the artistic potential and creative drive of the young Junior Eurovision participants that will be turning the stage into something magical, like a sky full of stars. Last year the international audience had the Chance to vote online – that was awesome ….but the server went down cause too much traffic on the EBU server. I hope the EBU will stick to that online thing but build up stronger server systems.